The anniversary of Chester’s diagnosis is the single most difficult date on my calendar. Ask any CF parent where they were and what they were doing when they received the news their child had CF and I can almost guarantee each one will be able to answer in fine detail. It’s certainly something that I won’t ever forget, the day I became a CF mum, a statistic and joined the CF family. The wait for the test results seemed like a lifetime, I had been so hopeful, but that was crushed in that single moment when the Doctor confirmed Chester had CF. I had tried to remain positive, thinking that we could be the lucky 10 per cent with a bowel blockage which wasn’t CF related, because someone had to be that 10 per cent right? The odds were clearly stacked against us and all that hope was crushed with the words “The tests have confirmed your son does have Cystic Fibrosis”. I still remember the feeling of absolute devastation that came with those words and the deep gut wrenching feeling that made me want to vomit, the feeling of being so overwhelmed with sadness and fear. I had gone from being in complete control of every aspect of my life, being able to do what I wanted when I wanted, to complete uncertainty and that was incredibly hard. I remember leaving that staff room feeling completely bewildered, drained and scared, going back to his cot, sitting down, holding his hand and tearfully apologising endlessly for what I had done to him. Like it was my fault, like I had failed in the one job I was designed to do. I remember wondering what I had done wrong to deserve this, why me, why us, why him. As I watched him peacefully sleeping in his cot I felt completely overwhelmed with guilt. I remember everything about that day, as if it were yesterday, I don’t think any part of it will leave me, I remember hoping they had got the results wrong, hoping that they would soon come in and tell me there had been a mix up. Instead steady streams of Doctors, physiotherapists, nurses and other specialists kept us busy, which kept my mind occupied and kept me from google which in hindsight was probably a good thing. So here we are now, two years on and although I’m dealing with CF, as it’s now part of our lives, there are times I still have “moments”. I still find talking about his diagnosis incredibly difficult, I thought with time it would get easier but I guess it’s still early days. I still get sad when I think of how I was robbed of that ‘newborn experience’ I had looked forward to so much, bringing home the gorgeous new baby, steady streams of visitors and strolls out with the new little one in his new pram. I find myself looking at other people with their new babies and occasionally still find myself saying “Why Chester”. I often struggle to remember those early days, all my memories clouded by his diagnosis. Instead of feeling down about CF this diagnosis day, I am going to try and remain positive, I am going to think about how far we have come, how much we have achieved and I am going to remind myself that although this isn’t how I planned my life or my children’s lives being, there are others out there right now that are far worse off. I’ve learned to make the most of our situation, we love a lot, we laugh often and we make sure that we make amazing memories and CF can’t take any of that away. This may not have been the journey I planned but it’s the journey I am on and I couldn’t ask for a better tour guide. The house work can wait. Life is busy and chaotic and it is passing us by way too quick. I often look at newborn pictures of my eldest and am immediately transported back to that moment; and I am amazed at how it almost always feels like only yesterday. I find myself saying; slow down, stop growing up, stop getting so big, but I know it is happening and that it is completely out of my control. There is no stopping time or slowing things down, no amount of wishing or hoping will change this. My babies are growing every day, gaining knowledge and learning from everyday experiences. I have noticed as he gets bigger the days of cuddles start to get few and far between and I find myself subtly sniffing him when he is close hoping to still be able to smell even just a little of that newborn scent I would always recognise. I had never planned on my second baby being my last, but sadly this has almost been decided for me, and to think that as he is getting bigger each day is terrifying. As he spends each day exploring and learning firsts, I am going through my lasts, my last baby to feed, the last time I will cradle a baby to sleep and the last little hand that will reach to me for help or security. One day he too will no longer want cuddles and kisses and he will push me away when I get caught sniffing him. I know that I am their mother and that they will always need me and I should be so pleased they are getting big and strong, but like most Mums I am sure, I am also sad that they can’t stay small forever. I am often so busy with working full time, taking care of all that comes with raising my boys and keeping my house in good order, that having taken a step back I have realised I am missing huge chunks of them growing up. I am missing the important things in life because mundane tasks like housework and washing. Truthfully, I noticed myself saying “In a minute”, “I’m busy” or “Not now” far too often and I realised that it had to change, that my priorities were wrong. Yes, there are tasks that have to be done and cannot be avoided, but everything else can wait. Time with our babies is precious, they are moments that once gone can never be got back, only in memory, so, put the hoover down and leave the house work, leave the washing, there is always time for that later, no one cares that your house is messy, no one will probably even see it, and if they do, do you honestly care?! Right now the most important thing is making the most of those advances for beautiful cuddles and snuggles; they don’t last forever, cherish every one like it could be the last, smile a lot, laugh together, say I love you often and keep on sniffing those little ones heads! CF toddler vs garden – why time in the garden isn’t always relaxing! The summer is almost upon us, although when it comes to the Great British weather it doesn’t really mean a great deal to us, sunny one minute pouring down the next, even the odd treat of hail stones. Making the most of the sun means heading out and enjoying the warmer weather in the comfort of the garden. Whether it be chilling with a glass of wine on a Sunday afternoon after a roast or entertaining family by the BBQ, the better weather inevitably means more time in the garden. Now as a parent I will be perfectly honest, I don’t always find time in the garden relaxing, a toddler who wants to climb on the garden furniture and get in and out of the trampoline unaided is bad enough, but as a CF parent it is full of other hazards that at times raise my stress levels through the roof, especially given Chester’s track record of growing pseudomonas. Pseudomonas is all around us in the environment, it can be found in soil and stagnant water, basically anywhere warm and moist is generally a haven for this particular bacteria and this means the garden can often be a haven. I try to weigh up risk with quality of life with everything I do, so of course letting Chester play in the garden is important, it’s a normal part of life and I want him to experience this, plus he absolutely loves being outside. I just have to be on hand to ensure no unnecessary risks are taken and any hazards are removed before he gets to them and boy this little fella can move quick! Having a garden full of toys means a quick recce of the area to make sure any buckets that have collected rain water are emptied and washed out and to ensure any mud pies Oakley has made are disposed of before Chester is let loose. This, however, is not fool proof, and I have failed in my recce a number of times of late! This weekend having completed a mandatory sweep of my garden I sat down to try and relax and watch my children playing, only to turn around and see Chester slurping dirty rainwater that I had missed from the window ledge of his plastic play house. As I was shouting stop and scrambling towards him he slurped even more and whilst doing so smiled ‘that naughty smile’ at me. What ensued next could quite possibly have been described as waterboarding my own son in my back garden in a way even that may have even impressed the CIA, as I tried my hardest to get him to drink a cup of fresh water in an effort to rinse the dirty water away. This was shortly followed by catching him with what appeared to be half a muddy worm hanging out of his mouth, this time I decided not to shout in case he decided to finish off the snack he had clearly started. I dashed silently toward him and managed to get him to open his mouth just enough that I could prise what was left of the worm out of his mouth, I then bravely had to risk being bitten when I opted to use my finger to sweep through his mouth to remove the chewed remains of the worm coupled with a large clump of mud he was desperately trying to swallow. Anyone would think by the amount of fuss he was making that I was trying to steal sweets from him. Yes, I have to say more waterboarding followed! The final straw of this particular afternoon in the garden was catching him eating a stolen fromage frais from the fridge with a plastic fork that had clearly been used for digging in the garden. Right next to where he was sat was the nice clean silver teaspoon he had obviously picked up when he stole the yoghurt, but instead he opted for the weathered, muddy, sun faded, and plastic fork. With my nerves shot, I went back inside to play in the relatively safe haven of my house, thankful in the knowledge he was already on strong oral and nebulised antibiotics that Pseudomonas is sensitive to. The more worrying bit is now knowing the moment of truth would be the next cough swab result. I can’t quite believe my baby boy will be two tomorrow. On this day two years ago I was packing my bags knowing that I would be meeting my new baby the very next day. It was surreal, planned C sections are the strangest feeling. Here I am now, sat wrapping a pile of toys that also double up as great physio, excited but also a little terrified that he will be turning two tomorrow. That night two years was pretty much the very last night that everything for us was reasonably straightforward and it was the last night I slept in my bed for almost 2 and a half months. This was the start of my life as a CF mum and the start of this crazy and testing journey, I just didn’t know it yet. I was still “Blissfully unaware” I often dream of feeling that carefree again. But when I look back over the past two years and see how far Chester has come and how much he’s achieved I have mixed emotions, we have faced some testing times and times when I honestly didn’t think we would ever see his second birthday but we have also had some truly amazing times, not many two year olds can say they’ve been to 6 countries! He’s overcome so much, huge hurdles thrown before him, and he still continues to fight and show so much strength and determination. Birthdays now mean so much more to me now and Chester’s are celebrated in a big way, the uncertainty of the life expectancy of those with CF means we will never know how many birthdays Chester will get to celebrate, but I am confident with improving care and precision medicines that the future is bright for him and he and many others with CF will get to celebrate many. In the past two years we’ve had too many hospital admissions, 168 days to be exact. In those 168 days I’ve seen babies that have been diagnosed with terminal conditions and it has made me realise that no matter how hard the time you are having there is almost always, someone far worse off. I live by this now, at times things have been bad and I’ve not known how to cope but I then see the strength in others dealing with far worse and I draw from their strength to get through, if they can do it so can I.
I know that this day in years to come will become more and more scary, as we approach the “average” life expectancy it will be terrifying. I just hope that Chester finds the strength to battle on the way he has so far. Until then we will continue to celebrate each milestone, we will continue to fight this battle with him and we will be there every step of the way, through the good and the bad. This little guy is as tough as they come and I know he will give CF a good fight. Letting go of anything can be painful; whether it’s letting go of someone you love, the career you longed for; or the life you had planned, it isn’t within our nature to have to let go or give in which is why I believe we always struggle. When my youngest came along, I had to let go of the life I had planned, the life I had always believed would be mine and instead learn to follow the path that was chosen for me. For someone who likes to be in control, who likes routine and who doesn’t cope well with uncertainty this has been and still is one of my toughest challenges. Shortly after his diagnosis someone shared ‘Welcome to Holland’ written by Emily Pearl Kingsley with me and even now when I am having a “moment”, I turn to this. Letting go of everything I had planned was hard, and I won’t lie, I struggled, I sometimes still do, I didn’t want to be in Holland, I wanted Italy. Don’t get me wrong, it doesn’t mean that Holland wasn’t a truly wonderful place to be, it just wasn’t where I had expected to be. For me letting go hurt, it caused an ache inside of me that even now still comes back, however, as time has passed I have learned to let go of the Italian dream and I have even faced the realisation that I almost certainly never had a ticket for Italy and I was always destined for Holland. Letting go has allowed me to enjoy life again, to be able to enjoy the path that I am on, to enjoy time with my children, I am taking in all Holland has to offer me, the sights, the beautiful smells and tastes and I am even learning to embrace the bad that just so happens to come with it. No destination is perfect, not all the time, nothing in life is perfect, life is about letting go of the idea of perfect and finding happiness in what is on offer not dwelling on what could have been. Life can change in a second, for anyone, without warning, without a care for your feelings. In one moment everything can change, learn to let go of that ideal, accept and embrace the destination you find yourself heading towards, it may not be Italy but it can be every bit as beautiful and you can be every bit as happy. 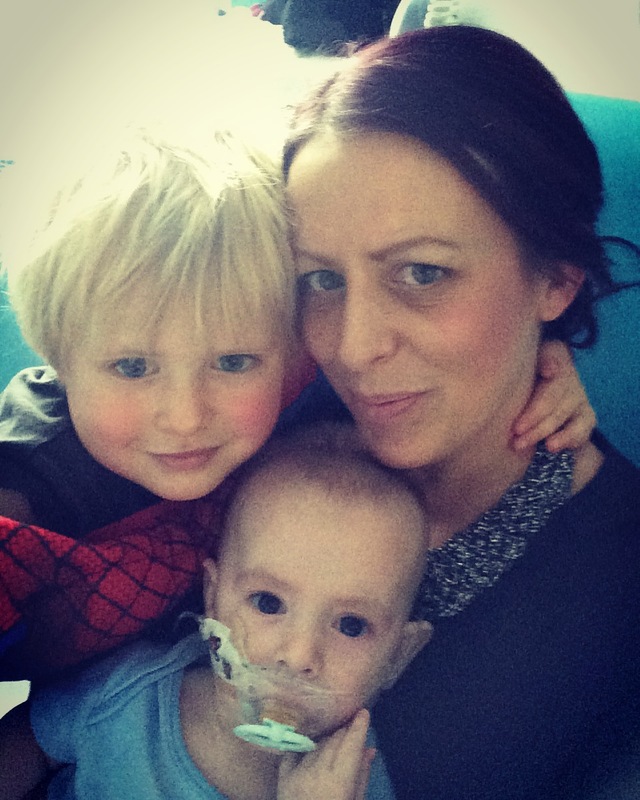 A letter to myself as a newly diagnosed cystic fibrosis mum. Nothing will have prepared you for the words you have just heard and right now you will be feeling pain like you have never felt before. You will be asking yourself over and over, why me, why us and why him. It’s easy for me to say now, but don’t beat yourself up with those questions, they are impossible to answer. You will blame yourself, believing you must have done something wrong but the short of it is, this is not your fault. There is a lot to take in, you will be bombarded with information from all sorts of different people and there will be a lot to learn, but you don’t need to do it all in one day, baby steps are fine! Right now you need to just breathe, and there’s nothing wrong if that is the only thing you do right now. You will want to know everything, but right now Google is not your friend, stay away from it, it’s full of outdated scary information and you don’t need to see it. I want to tell you that everything will be ok, but there will be days when it won’t be, days when you want to shut yourself away from the world and cry. There will be dark moments when you feel anger and are stricken with grief, when it feels like you can’t see an end to feeling this way, remember all these feelings are perfectly normal and they will pass. You will have moments where you feel like you can’t do this, but know that you can, you may feel weak but you are stronger than think. You will get knocked down but you are strong enough to get back up dust yourself off and carry on. You will feel resentment, anger and envy amongst a whole array of feelings and you will want to scream and cry. Just don’t be afraid to reach out if it gets too much. Asking for help is not weak, it doesn’t mean you’re a crap parent it means you just need a little help, you are not a machine and being broken does not help your baby who needs you. There are people you can talk to, do not suffer in silence. Over the coming weeks and months CF will start to slot in, it will seem like that’s forever away, but it will almost become part of your routine and there will come a time when CF isn’t the first thing you think about when you wake up and look at your beautiful baby. The sad thoughts will get less and less, and you will manage those feelings so much better but in all honesty there will probably never be a day when CF doesn’t enter your thoughts at least once. You won’t ever stop worrying, but remember this comes with becoming a parent to any child whether they have CF or not. There will be things that make you sad but there will also be happy times filled with laughter and these will far outweigh the bad. 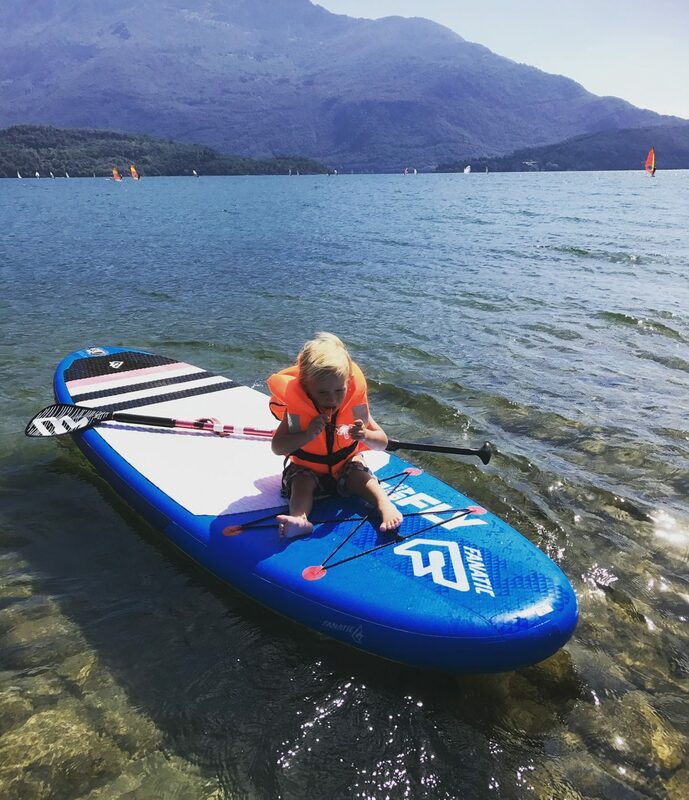 This diagnosis will teach you that life is precious and it is to be enjoyed, we never know how long we have our children for, CF or not, so it is important to always try to put CF to the back of your mind so you can relax, enjoy yourself and make memories. Some of your most precious memories will be lost or tainted because of the CF cloud, just make sure you do your best to remember the good times. There will be set backs, CF is unpredictable and throws a curve ball now and again to remind us it’s still there. Despite this, you will come through those each set back stronger and wiser than before. You have joined an amazing family and although you may feel alone in this now, know that you will make some truly amazing friends that understand you because they share the same journey with their own children. You will probably never meet most of them but you will form incredible friendships and those friends will be there with you every step of the way like a new family. You are raising a warrior, your drive to fight and survive will wash off on him. He is resilient and so much stronger than you will give him credit for. He will go through the unimaginable and he will come out the other side, he will make you proud as you watch him grow and become more and more independent. There is no getting round the fact that CF is crap but the future for these warriors is bright, medicine and treatments are advancing everyday and things are looking better. Stay positive, be happy, love and kiss him everyday. You have a beautiful baby go enjoy him.